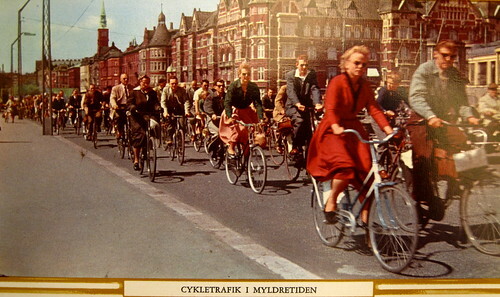 Postcard from 1950's entitled "Bicycle Traffic in Rush Hour"
About a year ago I proposed to Copenhagen's City Museum that they whip together an exhibition about Copenhagen's bicycle culture history. What with all the international activity in the city this year and the global focus on the bicycle. At first they replied that they had a host of other exhibitions planned. Needless to say, I was thrilled when they got back to me that an exhibition was, in fact, scheduled and that we could collaborate. Copenhagen by Bicycle / På cykel i København is the name of the exhibition and it opened a couple of weeks ago. To my dismay I was stricken with 'that' influenza and couldn't make it to the opening. I had so been looking forward to it, not least because I have many photos in the exhibition, but also because it is brilliant that the history of the bicycle in Copenhagen is now placed on a proud, historical pedestal. Where it rightly belongs. The City Museum is a cosy affair and I have a sentimental attachment to the place. I've been there countless times and return often with my son so it's perfect that this museum is hosting the exhibition. There's a little something for everyone. From a rare and original Dursley Pedersen made of wood to a Mad Max bike wars bicycle and everything inbetween. 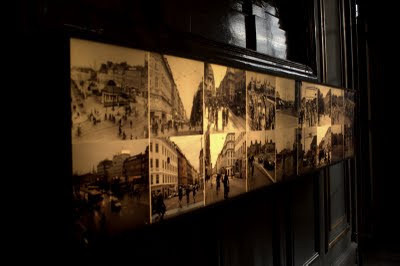 I have a number of photos of my social documentary series about Copenhagen's bicycle culture but one of the interesting gigs was being given a number of historical photos and then going out to find the same location and the same framing and taking a photo of the location as it looks today. A real nerdy photographer gig. Loved it. 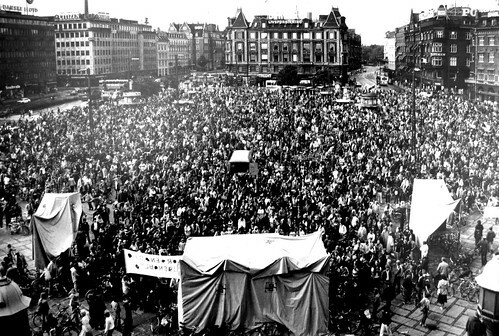 Here's a photo from a cyclist demonstration on City Hall Square in the 1970's. Demonstrating for separated infrastructure and more focus on bicycles in the traffic equation. The 1970's were a turning point for everyday cycling in Denmark in general and Copenhagen in particular. The oil crisis helped spawn a real grassroots movement that returned the bicycle to the urban landscape after a decade or so of intense decline. 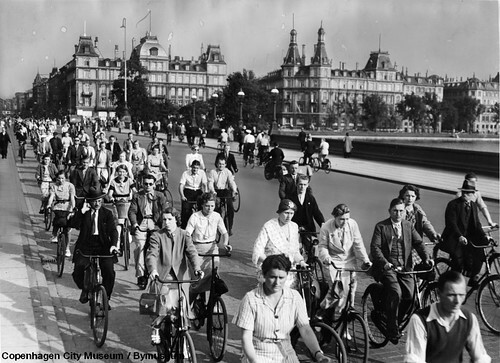 These demonstrations featured thousands and thousands of citizens on bicycles. They were peaceful but noisy. It was regular citizens demonstrating, not sub-cultures, so the effect was enormous and far-reaching. Just look at our streets today. 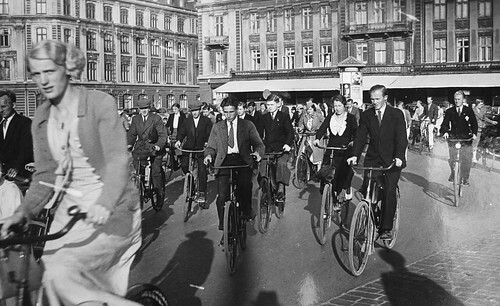 Critical Mass can learn a lot from the Copenhagen experience in the 1970's. The exhibition at the Copenhagen City Museum / Københavns Bymuseum runs from now until June 27, 2010, in order to coincide with the Velo-City Global Bicycle Conference. The Museum is located at Vesterbrogade 59, a short walk from the Central Station. There's loads to see apart from the bicycle exhibition.